Product prices and availability are accurate as of 2019-04-19 20:58:08 PDT and are subject to change. Any price and availability information displayed on http://www.amazon.com/ at the time of purchase will apply to the purchase of this product. 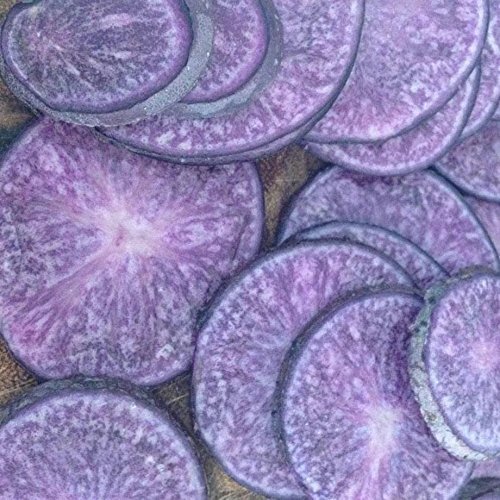 All Blue Potatoes | Organic, Non-GMO Blue Seed Potatoes | Heirloom All Blue Organic Seed Potatoes Blue potatoes - seriously? Absolutely! 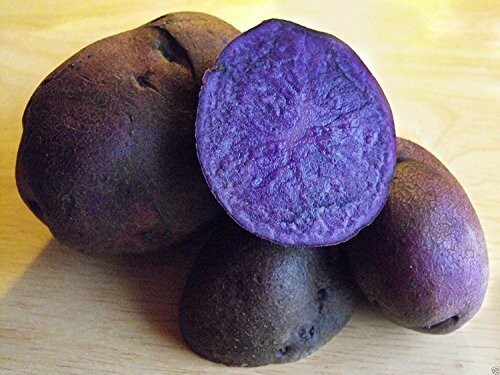 Even stranger than blue skinned and flesh potatoes is the fact that THIS is what potatoes looked like originally, when first used for food about 10,000 years ago. All Blue is the most direct descendant of the original potato and it is a tasty treat! Generations ago, farmers decided people would eat more potatoes if they were white (?) 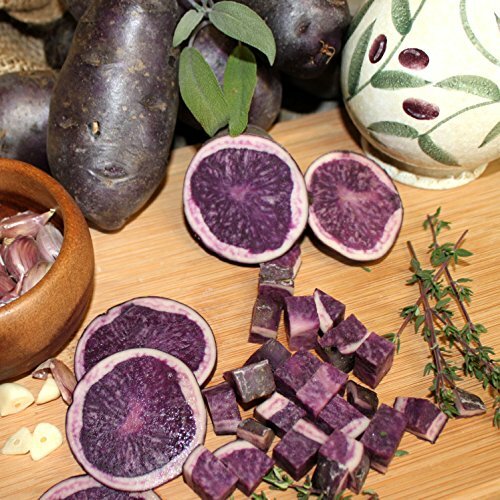 and started breeding the color, and quite a few of the nutrients out of potatoes as a marketing gimmick! In fact, blue fleshed potatoes have all of the antioxidant power as Brussel sprouts, Kale and spinach - and let's face it - they taste so much better and are fun to eat! 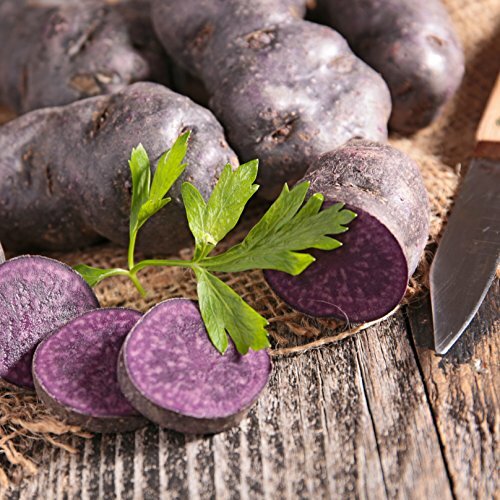 All Blue potatoes have a moist texture and are perfect for mashed or fried potatoes. Add a dash of vinegar to maintain the bright blue coloring, as it will fade otherwise. These top quality seed potatoes are organically grown in the U.S.A., are complete non-GMO and a source of excellent nutrition. Bon Apetit! 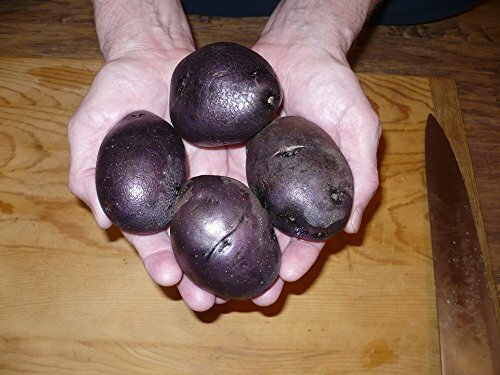 Priced for 10 ORGANIC seed potatoes All Blue Potatoes! Full sun, 18-24" - mid season, 65+ days to maturity Flavorful and SO nutritious! Select more from Easy To Grow Bulbs and save on S&H Ships NOW!